In spite of the polite nature that is usually associated with anything Canadian, we seem to be losing patience with everyone when it comes to our country’s roads. In a recent Research Co. poll, half of Canadians (50%) believe drivers in their city or town are worse than five years ago. There is also a political rift. 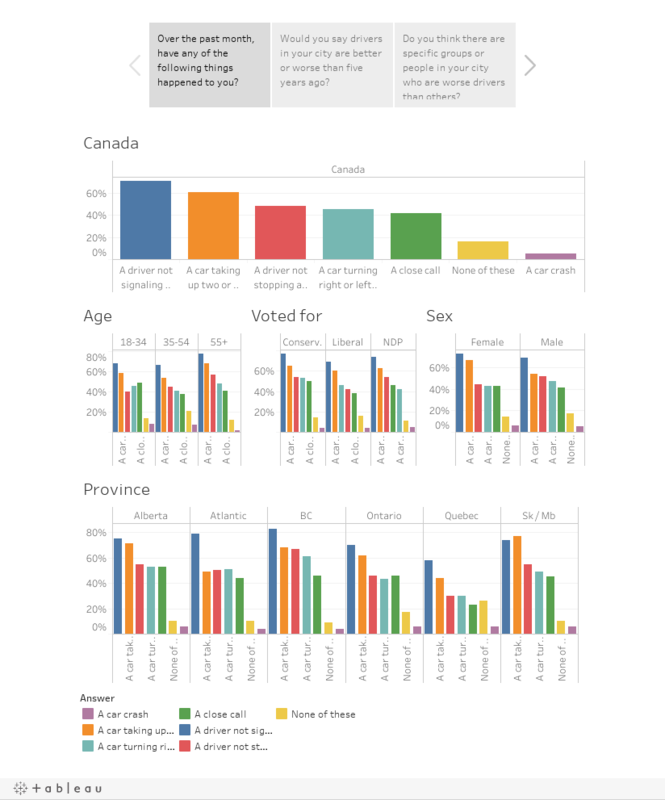 Fewer than half of Canadians who voted for the New Democratic Party in the last federal election (48%) point the finger at specific groups when it comes to bad drivers. This compares with 58% among Liberal Party of Canada voters and a whopping 70% for those who cast a ballot for Conservative Party of Canada candidates in 2015.